When used with MakerBot Replicator 3D Printers, PLA Filament helps produce higher-quality prints, reduce filament problems, and minimize downtime. Details such as sharp corners and edges print well and PLA printed objects will generally have a glossier look and feel. 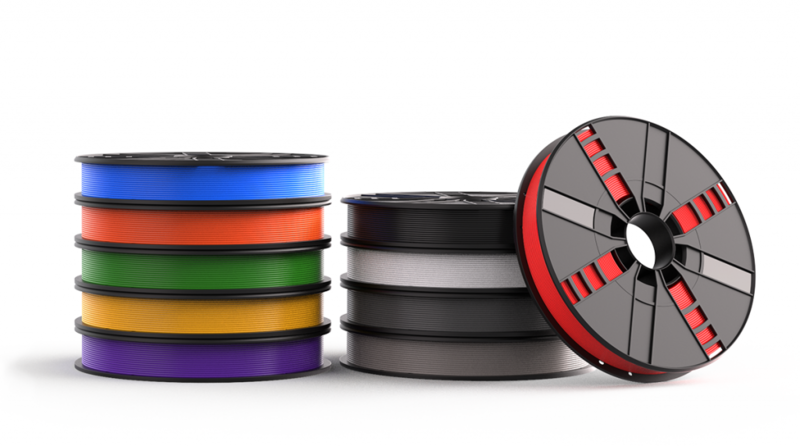 Explore your creativity with a wide variety of colors and special properties in a filament with a consistently round diameter to ensure consistent flow through the extruder nozzle and smooth, even layers. 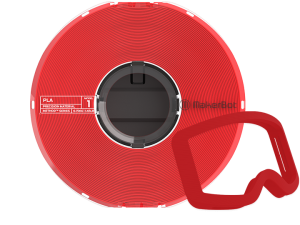 When used with MakerBot Replicator 3D Printers, MakerBot PLA Filament helps produce higher quality prints, reduce filament problems, and minimize downtime. //Biodegradable thermoplastic derived from renewable resources. Polylactic acid (PLA) is a biodegradable thermoplastic derived from renewable resources. Safe for the office, this material is non-toxic and easy-to-print with high reliability and dimensional accuracy. MakerBot precision PLA Material is optimized with the slicing algorithm in our software to give you the best results and highest quality. Ideal for the early stages of concept modelling and form studies, PLA printed objects will generally have a glossier look and feel. Available in Cool Gray, True White, True Orange, True Red, Natural and True Black. With up to 2X the impact-strength of ABS and similar tensile and flexural strength properties, Tough gives you durability for a wide variety of industrial applications that hold up under all types of stress. Tough is designed to overcome common flaws in ABS 3D printing – including warping and curling – so you can print your parts reliably without excessive adjustments or tweaking. Throw your printed part into the CNC or drill press; tap some threads and bolt on a steel bracket, or sand the surface and paint for a finished presentation pieces. Whatever your design challenge, Tough makes it easy to test and present your parts in real-world applications. Available in four colors – slate grey, safety orange, stone white and onyx black – for creators who need to color code their parts or want more creative. 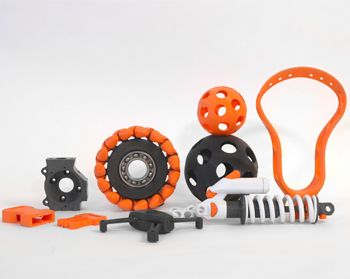 //Thermoplastic engineered for durable, strong, and precise 3D printed prototypes and fixtures. 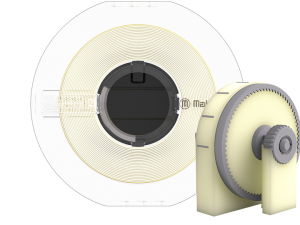 Tough Precision Model Material is a thermoplastic engineered for durable, strong, and dimensionally accurate 3D printed prototypes and fixtures. 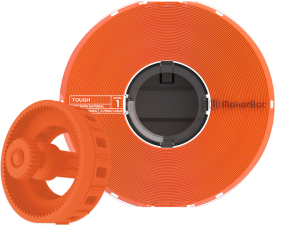 With up to 2X the impact-strength of ABS and similar tensile and flexural strength properties, MakerBot Tough Material gives you high durability and toughness. Available in Slate Gray, Onyx Black, Stone White and Safety Orange. //Ensures fast and effortless support removal for your most complex prints. MakerBot’s Precision PVA is a water-soluble support material extensively-tested for the highest reliability, dimensional accuracy and a superior surface finish.